A: The only thing I knew about Wolverhampton Wanderers was that they played in gold and black. I didn’t know where Wolverhampton was. I’d seen the team a little bit on television and had heard about Derek Dougan and Peter Knowles but that was it. I can’t say I was excited because I was only 17, still an apprentice. You don’t expect that sort of thing to happen and, when the manager at Bradford Park Avenue called me in to say Wolves had put in a bid for me of £5,000, I nearly fell over. It was such a lot of money. My dad’s wage was about £14 a week. 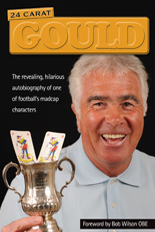 He had just died, so I spoke to my brother Terry, who was at Leeds, and he spoke to Don Revie about it. They told me to take the opportunity. I was convinced by Terry and Don’s advice and the fact that my dad had wanted both of us to play in the top flight. Unfortunately, he never lived to see it but I knew it was his aspiration for us both. I wasn’t excited, I was worried about leaving home, leaving my mother and sister. It was so far away. The furthest I’d been from home was a trip to the Isle of Man when I was about 12. I didn’t really want to leave home but I believe my dad was there pushing me along. In she goes.......Hibby draws first blood at Wembley. 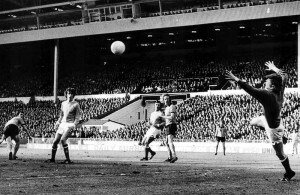 A: All goals are best goals but the most important was the one in the 1974 League Cup Final when we beat Manchester City. The best one, I believe, was my last against Newcastle the day I scored all four goals. It was a left-footer into the top corner. I enjoyed that one. JR: I remember that one because it whistled past my ear. I’m sure it singed my hair. I was just grateful it didn’t hit me, otherwise I would have been in trouble! A: It’s a very difficult one because they all had different qualities and faults. Bill McGarry hated everybody and wanted everybody to hate him but he did command respect. I respected him for what he did for me in the seven years he was there. Then there was Ian Greaves. He was a player’s manager and I thought he was outstanding. I just wish we could have had a bit more time with him before Dougan sacked him. John Barnwell was also successful. He came in to do a job and brought in some big players such as Andy Gray, Dave Thomas and Emlyn Hughes. Unfortunately, his car accident affected him very badly and he was never quite the same afterwards. He was my type of manager because he liked passing, he liked quality play. I learned a lot from all these managers, particularly qualities such as discipline and respect, which I tried to put into effect when I became a manager. Man-management is what it is all about. A: It has got to be Wembley. When we walked out of that tunnel in 1974 and saw all that gold and black, it was amazing. A: Old Trafford. I made my debut there for Wolves in the reserves. I played in midfield with Frank Munro, who had come from Aberdeen for £55,000 a few months earlier. Old Trafford was always an amazing place to play. A: I get asked this question asked all the time, especially by Spurs supporters! I fell over Glenn Hoddle’s back foot. It was never a penalty. It should have been a corner. If you remember, you came and said to me: “It’s a penalty, you’re going to take it.” And I said: “You can go and get stuffed,” or words to that effect. But then Willie Carr said: “I’ll take it.” I think we were both relieved. Sammy Chung congratulates Kenny Hibbitt and Steve Daley. John Bond had to choose between the two. A: In the early seventies, Bill McGarry once called me into his office and said a club had offered £100,000 for me and asked if I’d be interested. I asked him who it was but he wouldn’t tell me, so how can you be interested if he won’t tell you? That was on a Friday morning before we went off to Ipswich. I think the club might have been Birmingham City because Freddie Goodwin and his chairman were up in the stand. But I had a nightmare of a game! Leeds, when Allan Clarke was manager, also came in for me. And Manchester City, when it was me or Steve Daley – and they plumped for Steve because he was younger. A: You and I played together for a long time, 12 or 13 years, plus we used to go out together socially. We knew each other off the field as well as on it. I also had a good relationship with Willie Carr. We played alongside each other for seven years and got on well off the field as well. The three players I would pick would be you, Willie and Andy Gray. Then, from a team members’ point of view, there were Derek Parkin, John McAlle and Geoff Palmer – great people to have in the side. A: From my point of view, I felt every year I played for Wolves was my best year. Each year is different, though. Sometimes a new manager comes in and you wonder if you are going to be part of his plans. Fortunately, I was always picked by each manager. Personally, I had a good year when we were in the Second Division, especially from a goal tally point of view. The best side, in my opinion, was the one in the early seventies. We reached the UEFA Cup final by beating some of the best teams in Europe. Don’t forget, we were only young – I was 21. We had a very successful time from then, building up to winning the League Cup in 1974, so that period was pretty special to me. A: The Newcastle game in1974, playing against my brother, and scoring all four goals when we won 4-2. Terry came up to me after the game and called me a “little b*****”, but he added: “If we were going to get beat, I’m glad you scored all four.” I’m disappointed that there is no TV film of the game. In those days, only a few games were covered. There are photos of some of the goals and I can remember all four very clearly. It’s a long time ago but I just wish they were on video. A: Actually, it was 18, but the League never gave me one goal. I scored straight from a corner and they put it down as an own goal. It was a left-wing corner that curled in the far side of the goal. On the England question, there were a lot of top-class players around. Some people say it’s because we played for a Midlands team but I don’t believe that was the case. I always believe if you’re good enough, you’ll get in. At the end of the day, I don’t think I was quite good enough to get picked. There was a lot of competition because many of the players from the 1966 World Cup team were still around, then you had the likes of Tony Currie and Glenn Hoddle. Alan Hudson was another who only got a handful of caps. Perhaps if I’d had a bit more pace, I might just have made it. I was disappointed but it didn’t bother me. You can’t dwell on those things. We were very lucky to have the careers we did. A: Not a lot of good memories, especially the first leg which we lost. And it was obviously to another English team, who were a bit of a bogey team in those early days. It was our first and only defeat in the competition. It meant we were facing an uphill battle going to White Hart Lane. We got a draw there but it wasn’t enough. 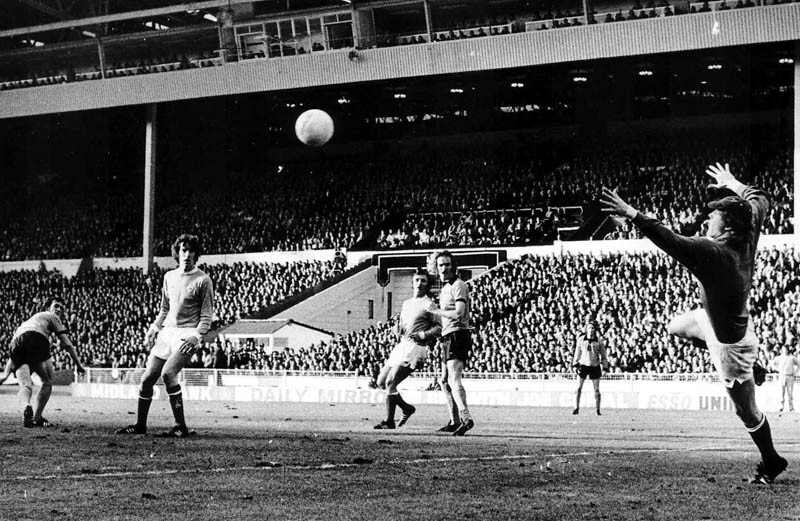 The 1972 final doesn’t get much of a mention nowadays – there is very little recognition whereas everything gets highlighted now because of the television coverage – but it was quite an achievement to have two English clubs in a European final. I don’t think us or Tottenham got enough credit for what we achieved. A: My memories of him are as a coach, probably as good as anyone in the country at the time. His sessions were enjoyable and interesting but we used to have a real laugh while learning all the techniques at the same time. We did everything – volleying, pinging the ball into people, laying it off, finishing. When Sammy took over as manager, we’d just got relegated and I believe we had a team capable of coming straight back up. We had a lot of very good players. Sammy had to make decisions and pick the team but the team virtually picked itself. He had never been number one before and knew he had a side which could get straight back up, and it did. In the top flight, it was different. I felt that was the difficult time. Dark days approaching.....Wolves in 1983 and about to go into a nosedive. A: I knew something wasn’t quite right, both off and on the pitch. Ian Greaves had actually got me a deal at Seattle Sounders for the summer of 1982, so I was over there when Wolves went into receivership and Dougan and the Bhattis took over. I had calls from the club telling me to come back but I had a contract with Seattle and had to honour it. After I came back, John Bond at Manchester City wanted me. 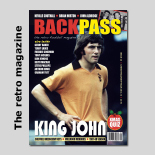 I wasn’t sure what the contractual situation was at Wolves, whether I still had a contract, whether they held my registration or whether I was a free transfer. It was one of those situations where I didn’t know what I was coming back to. Dougan rang and told me to come back straightaway but I couldn’t until after the last game because we’d got through to the Soccer Bowl final. I met up with Derek when I got back and negotiated a two-year contract to take me through to 1984. We got promotion in the first year with Graham Hawkins but I knew there were big problems in the club. When I left in 1984, I could have stayed another year. The way the offer was made convinced me it was the right time to go. I was basically told: ‘There’s the contract offer, you can take it or leave it.’ So I left it and went to Coventry. I know the club had to cut wages and save money but it was the way it was done that upset me. It was disappointing to leave a club where I’d spent virtually all my career and to see it in the state it was in. How it was allowed to get in that state is beyond me and, of course, it got worse. It hurts because only four years before I left, we won the League Cup. Then, within seven years, Wolves were in the Fourth Division. It was crazy. A: Terry and I played together just once, when he was 11 and I was eight. It was for the school team and it was a cup final which we won 1-0. Terry scored the goal. 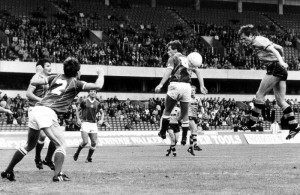 I remember it now – the keeper took a goal-kick, it dropped at Terry’s feet, he controlled it and lashed it into the top corner with his left foot. I was playing with a broken collar bone and was strapped up with a figure of eight bandage. I was the baby of the side and the rest of the team kept a look out for me in case anyone tried to tackle me too hard. They all protected me. Terry went on to join Leeds straight from school at 15 and I left at the same age to join Bradford Park Avenue. I left school on the Friday and started on the Monday. A: No. Golf played a big part in my relaxation. In the early 1970s, I used to play golf but not particularly well, then Bill McGarry started taking us to courses such as Brocton and Beau Desert. My wife’s father, Len, was captain of Penn Golf Club in 1974, so I joined. I found it was my relaxation. I got away from football and it became my release. It was a lot healthier and cheaper than going into the bookies, as some of the lads did. As I got more interested, I decided I wanted to do it properly, so I worked on trying to get my handicap down. But, no, I wouldn’t swap it for my football. That gave me more opportunities than I could ever have dreamed of. Wayne Clarke, seen here challenging Frank Munro at Castlecroft, later became a Hibbitt signing at Walsall. A: If the opportunities had arisen, of course, I would like to have continued in football management and take on a role at Wolves. Actually, I did have an interview at Wolves with the Bhattis about taking over as manager but nothing materialised. I must have been one of the few people to meet them. It was in 1986, just after I left Coventry, so it was just before the club went into receivership again. I had a tough four years at Walsall. I took over from John Barnwell and they had been relegated two years on the trot. The club were nearly bankrupt but I sold a lad, Stuart Rimmer, for £100,000 which, in 1990, was a lot of money. 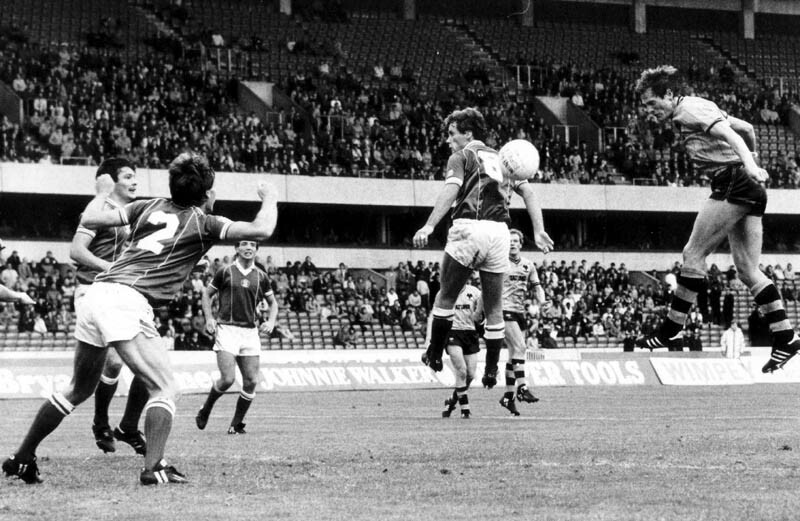 It kept the club afloat, then we moved to the new ground at Bescot. We did very well. We managed to bring in some quality players such as Derek Statham, Wayne Clarke, Kevin McDonald and Martin O’Connor. I also managed to attract Sky coverage of games, which brought in about £60,000 a time. When I left, the club also had assets on the pitch, which is what’s needed for a club in the lower divisions. I left after a fall-out with the chairman just six games into the season and, ironically, the club got promotion. However, to be fair, the new manager Chris Nichol acknowledged that it was the team I’d put together that went up. Actually, leaving Walsall was a great relief. When the chairman told me to go, I got in the car and rang my wife and told her to put the kettle on. I felt as if a large weight had gone from my shoulders. A: It was my first time back after being a player there. I was hoping to get a warm reception but, as I walked out on to the ground, everyone stood up and applauded me to the dug-out. Even some of my players said they were overwhelmed by the reception I had. One of them, Ian Holloway, said it brought a lump to his throat. You hope for a nice response but I had never experienced anything like it. Again, the sad thing about it is that it was not televised. It’s in my head and it’s amazing that fans who were there still remember that day. It is a wonderful memory for me. A: It was during the summer about eight years ago that I got a phone call from the League Managers’ Association about this new initiative of delegate work assessing the referees; not to replace the existing technical assessment, but looking more at the management side. They were approaching former players and managers and assessing their interest. My wife, Jane, took the initial call and she was laughing when she told me it was to do with assessing referees, bearing in mind my previous views of referees. As a player, I wasn’t always their best friend. I went to a meeting in London to find out what was involved and liked what they were putting forward. I then went on some workshops to learn exactly what was to be done – and that’s how it started. This is my eighth season. I have to admit that I now look at referees in a different light. They have a lot to deal with and they’re put under a lot of pressure on the pitch by players and cameras, and I’ve learned a lot about how they work. And how difficult and tough a job they’ve got. The role also allows me to meet a lot of old friends. There are many former players and managers still involved with clubs. I only deal with the Premier League and I see a lot of players I used to play against. Some are hobbling around, but some look really good! (I didn’t ask Ken if they were hobbling around as a result of a tackle by him – JR). Before a game, I make sure everything is in place for the officials. I listen in at the security briefing, so if anything happens during the game, we know what to do when certain announcements are given and how to get the officials safely off the pitch and out of the ground. It’s done to ensure that we all know what to do in those circumstances. We also need to know where the emergency services are located around the ground, so the officials can call them on if needed. During the game, I make notes on the officials’ performance, particularly any significant incidents, such as the one a few years ago at Wolves when a firework went into the crowd. I make notes if things are missed on the pitch, with regard to poor decisions, how the referee manages the players, how he approaches players for bookings, positional play etc. At the end of the game, I debrief the officials. Now, the referees see us as allies but that wasn’t the case when we started and that was understandable. There was some doubt and concern from the officials. But, we’re not there to tell them how to do their job. None of us are referees but we are former managers or players, so we’re football people and here to teach them how to approach players and deal with managers who may be shouting abuse. It is also important to offer advice on positional play. A lot of referees have improved their overall standard by learning where to position themselves. The last thing a player wants to see when looking to make a pass is the referee in his eyeline. We’re teaching them where players like to put the ball, down the side, into the channel, so they can keep out of the way. Unfortunately, we never anticipated how players would behave in the penalty area. Forwards are now putting their legs around defenders to try and get penalties. Then there’s the simulation – more and more of it. So we’re trying to help referees, to show them what to look for. The week following a game, I will also speak with the managers or coaches to get their comments on the referee’s performance. The managers do sometimes ask me my opinion on the referee but I make a point of staying independent. If the manager makes a criticism which I know to be incorrect, I will explain and protect the referee’s decision. As you can imagine, I do get one or two strong comments, particularly from managers of the losing team. Sometimes, it would be nice to hear managers criticise their own players in the way that they do the officials. Instead of passing the blame on to the officials, they should say: “My team were awful today, they didn’t play well. I don’t want to hear about the official’s decisions.” It would be quite refreshing and honest to hear that every now and again. There is respect from the referees for the assessors and they do listen and take things on board. We’re not there to teach them how to referee but how to manage the players on the pitch. I have a lot of sympathy for the referees, particularly as the game has changed so much and they are under continuous scrutiny. 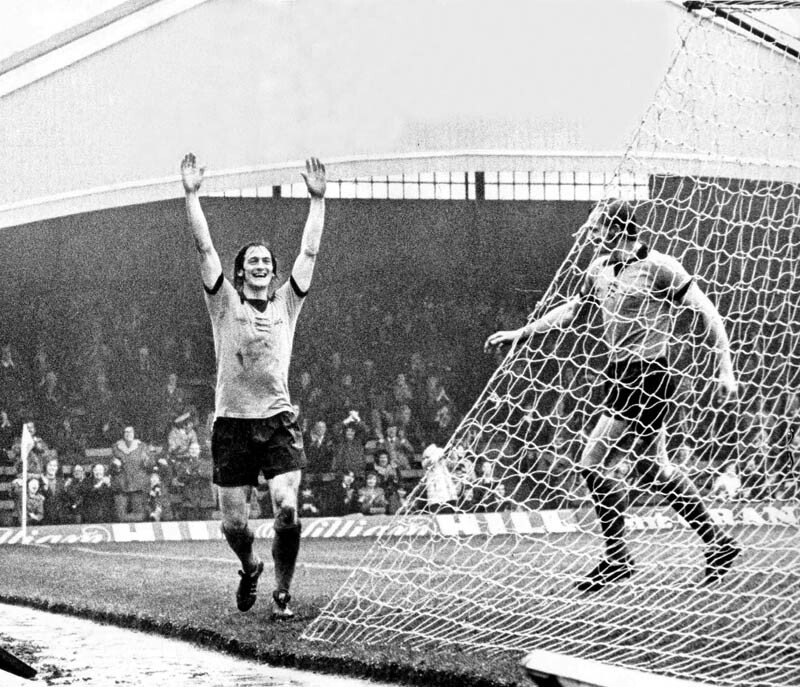 No cameras required.....Kenny celebrates a goal against Luton. A: About three years ago, we had the goal-line technology, Hawkeye, in place at Reading. It was all set up and ready to go but then Blatter and FIFA refused it and said it was not going to happen. Their concern was how far it would go – should it be just for the top level or through every level? And then there’s the cost involved. But I think the main reason is because FIFA weren’t the first to think of it and we were. But now, after the World Cup, seeing goals scored but not given, he has changed his mind. In my opinion, the goal line is the only area in which we need technology; to tell us if it’s a goal or not. Posted on: Monday, February 7th, 2011.